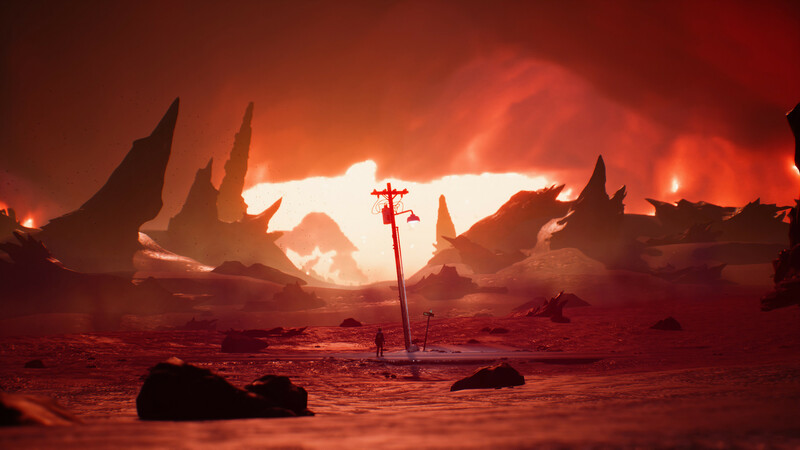 While Dontnod Entertainment has made a name for themselves with their Life is Strange adventure game series focused on a relatively core set of characters, they’ve branched out a bit with a new spinoff title within the series. What’s more, this new spinoff focuses on not teenage girls who get into trouble, but instead on a young boy and his father. The dynamic and overall feel has changed noticeably, however at its core does it have the same charm the core Life is Strange games have? Does it make the same missteps? Let’s find out! Visuals in Captain Spirit, at least to me, appear to have improved from the previous game in the series, Life is Strange: Before the Storm. It’s worth pointing out that the previous game was developed by a third party, Deck Nine, and not the original team from Dontnod. I think visuals are still mostly similar, however, it might be the smaller scale of Captain Spirit adding to its polish. 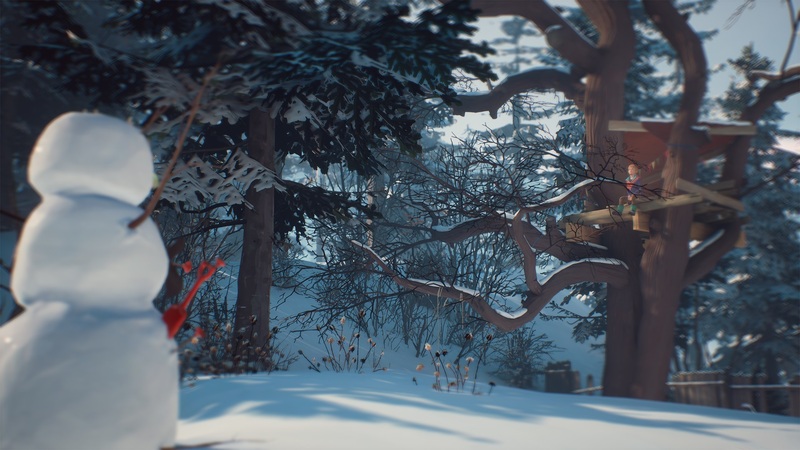 While the previous games are much larger in scale and include a wide variety of environments, Captain Spirit is more like a demo in terms of overall size and breadth of content. I think this sort of attests to the overall attention to detail in the game, as well as its looks. It feels more focused, and it should be – this is basically entirely focused on Chris and his dad, Charles. 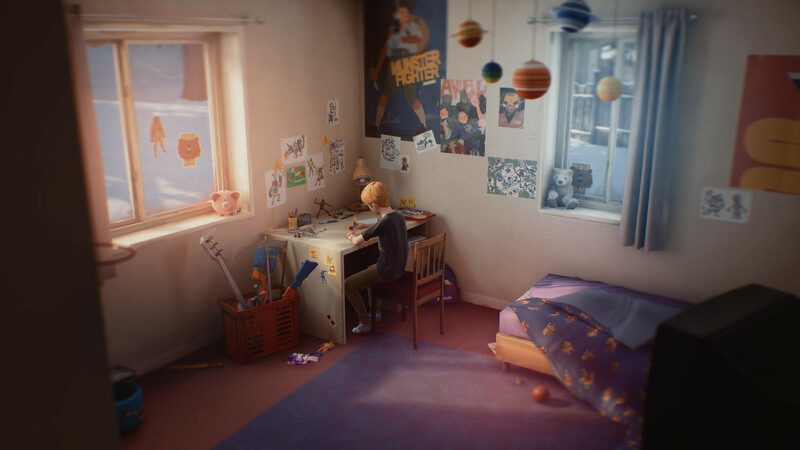 If you’re familiar with the Life is Strange series, characters and environments are semi-realistic, meaning they are grounded in some kind of realism but has this sort of pastel sheen. It’s relatable, but it’s also not crazily realistic. If anything, I’d describe this visual style as something like “comfy,” because it’s easy on the eyes yet provides a take on the real world and real people. The game is, like its predecessors, an explorative adventure where you’re inspecting your environment, investigating mysteries, and of course – talking to people. With its smaller focus, you only have so many things you can interact with in Captain Spirit, and your only human interaction is with your dad. The majority of the game is centered around Chris’ own imagination. As most of us know, we deal with trauma by escaping reality through various devices. 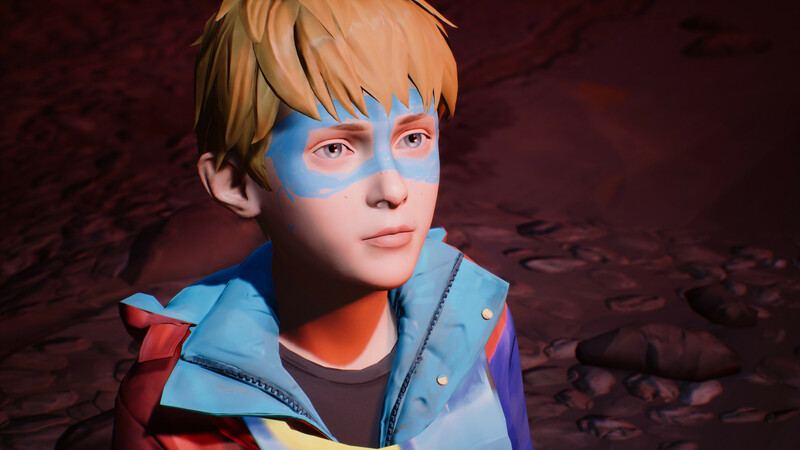 For Chris, he likes to pretend he’s the titular Captain Spirit, so most of the game is you assembling his costume, getting into battle with the “Snowmancer,” and more. The game really does a great job of making you feel like you’re living out a Saturday as a young kid again. As there isn’t really a lot of progression in the game due to its small size, there are more easter-eggs you can find – provided you’re interested enough to inspect everything. It’s made clear that something happened to Chris’ mom and it was devastating, especially to his dad. Upon some further digging and how you respond to things, you’ll see more signs of abuse, and their tragic history. 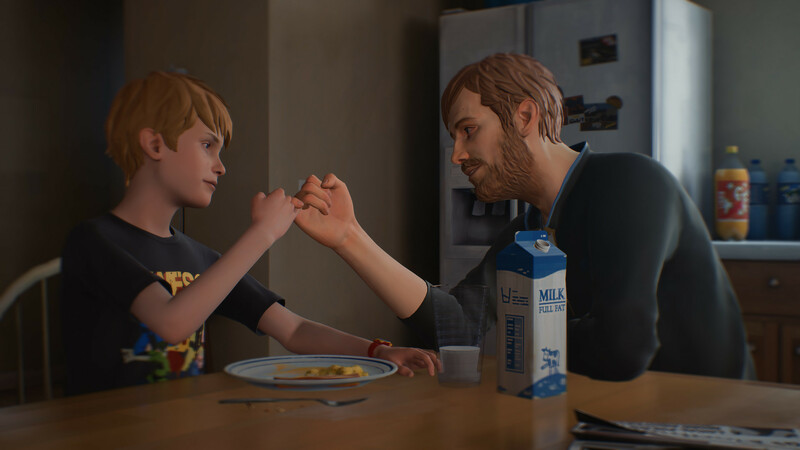 As a single father myself, stories like Captain Spirit really hit home, most especially as a tell-tale reminder of how to not be an abusive father. At times, the game is genuinely heart-wrenching, other times it kind of beats you over the head with how awful Chris’ dad, Charles, really has become. Perhaps he was always that way, but now we’re presented with the abuse and the choices. There are numerous times you can either cover for your dad, try to be there for him despite his nature and his abuse, or you can rat him out when given the opportunity. This, combined with the really depressing history of their family, really makes you question how you respond or deal with things. Sure, Charles is a mess, however, there are moments when you see he does care. 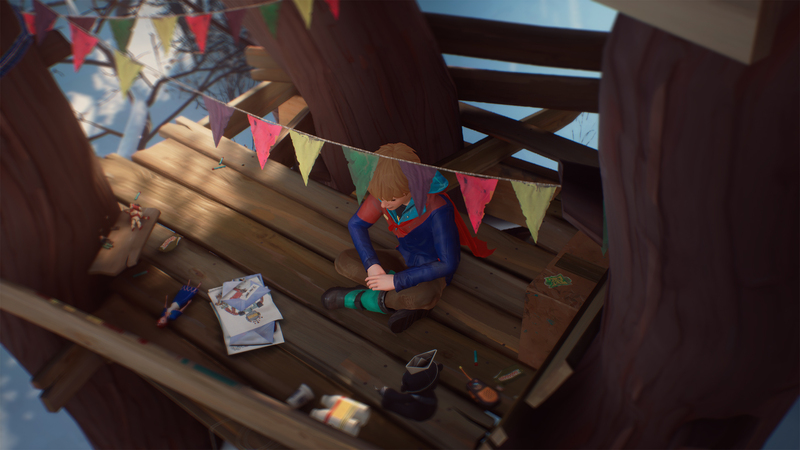 The game has the same kind of voice work you’d expect from the Life is Strange franchise, only now it’s much more polished – largely due to the game’s smaller footprint and handful of actual characters. Chris definitely comes off like your typical nine year old boy, Charles sounds like a dad at times but also an abusive douche-nozzle other times. In the imagination-segments, whether they’re in an entirely different environment like you’re seeing it through Chris’ imagination or just in the real environment, are cute but fun. Chris will make noises and pretend aircraft are flying, monsters are fighting each other, and so on. There are even times when Chris will play with his Dad, and it genuinely comes off as a father-son moment. 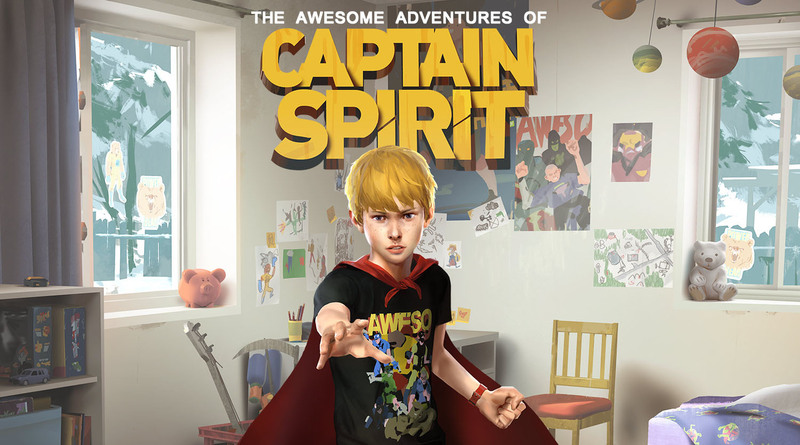 If you’re a fan of the Life is Strange franchise, there’s absolutely no reason why you shouldn’t pick up The Awesome Adventures of Captain Spirit, especially because it’s entirely free. 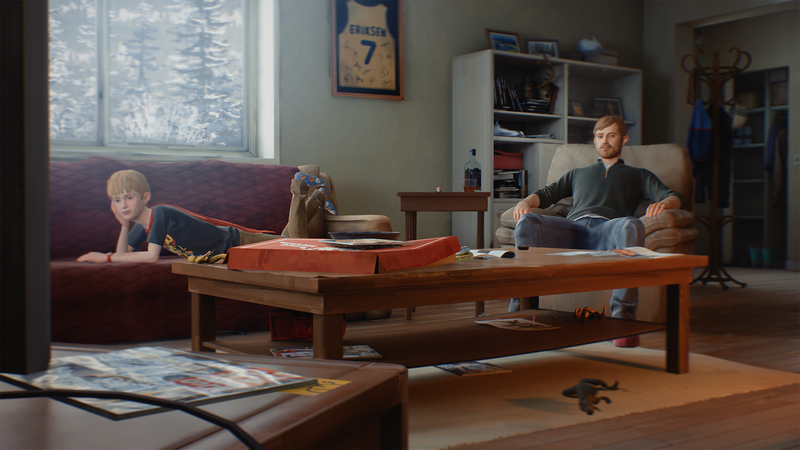 The game is meant to be a small taste of what to expect from Dontnod Entertainment stepping back onto the plate with developing the sequel, Life is Strange 2. The game is overall a short experience, which honestly is a detriment to it because I legitimately wanted to see some kind of resolution for Chris and his dad, Charles. As a single father, I care deeply about my son and want nothing but the best for him. I’d like to think having the options to eventually turn things around for Charles would be nice, instead of the frequent abuse tells. I absolutely think abuse has no room in any situation and is inexcusable, but you’re given the option to see lots of history behind the tragic past with the Eriksen family. There’s even a letter suggesting Charles’ family take foster care of Chris until he can get his life back together. I’d love to see a follow-up that could present a concise but rewarding take on saving their family. The Awesome Adventures of Captain Spirit was reviewed on PS4 using a free download. You can find additional information about Niche Gamer’s review/ethics policy here. Visuals and character models appear to be improved from Before the Storm. Fantastic scenes right from Chris’ imagination. Depressing story focused on love and loss, single-parenting. Too short, but it wasn’t intended on being a full game. Sometimes beats you over the head with morality, moreso than previous games. No options to help Chris’ dad improve himself.